Microsoft Office 2007 is a version of Microsoft Office, a family of office suites and productivity software for Windows, developed and published by Microsoft. It was released to volume license customers on November 30, 2006 and to retail customers on January 30, 2007, the same respective release dates of Windows Vista. 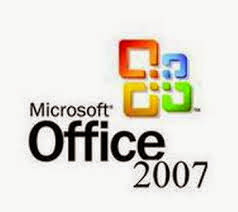 It was preceded by Office 2003 and succeeded by Office 2010. Office 2007 includes new applications and server-side tools, including Microsoft Groove, a collaboration and communication suite for smaller businesses, which was originally developed by Groove Networks before being acquired by Microsoft in 2005. Also included is Office SharePoint Server 2007, a major revision to the server platform for Office applications, which supports Excel Services, a client-server architecture for supporting Excel workbooks that are shared in real time between multiple machines, and are also viewable and editable through a web page.